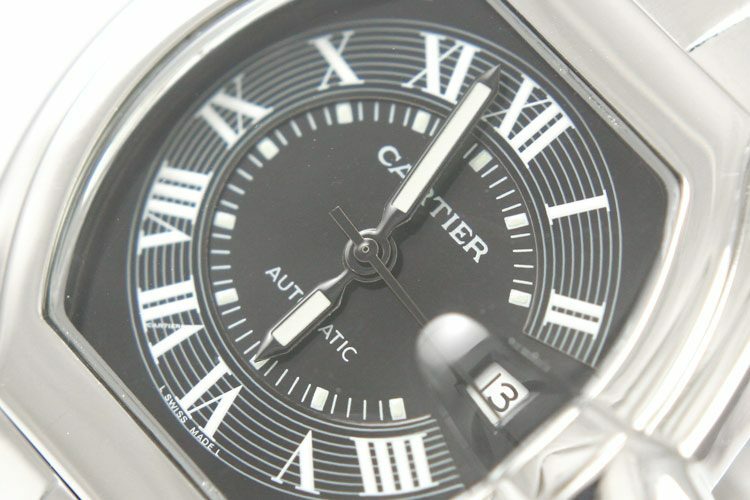 The name “Cartier” is synonymous with luxury, wealth and prestige. Simply apply this name on any type of objects, from fragrances to watches and you have the secret for instant success. 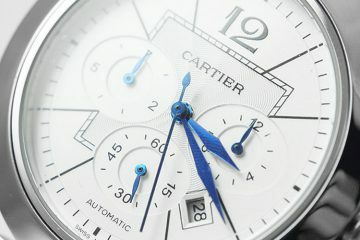 But let’s not deny the obvious- Cartier is also a skillful manufacturer of high end timepieces. Its prestige touches the highest limits when it comes to exquisitely crafted watches. One of its most appreciated models is the Cartier Roadster which is a splendid design adorned with endless charm and timeless sophistication. 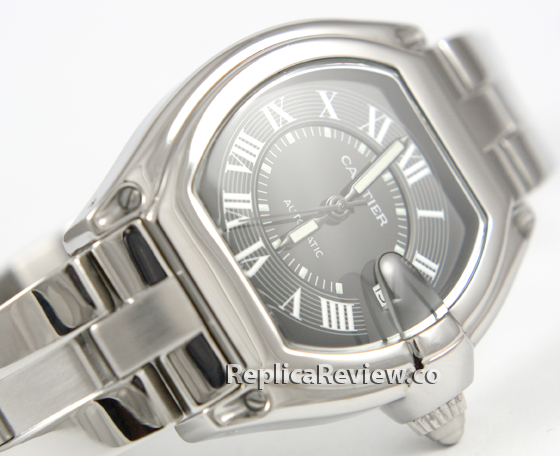 But as any other luxury brand out there, Cartier sells its watches at unbelievable prices. 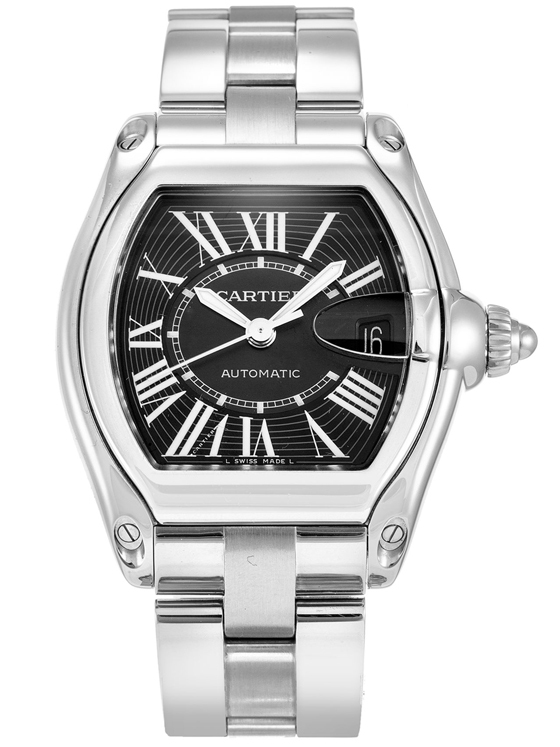 The Cartier Roadster usually starts at $4,200 and this is for the version that does not features any complications and is made from the simplest materials used by the brand. The ones that are made from gold or platinum cost a fortune. 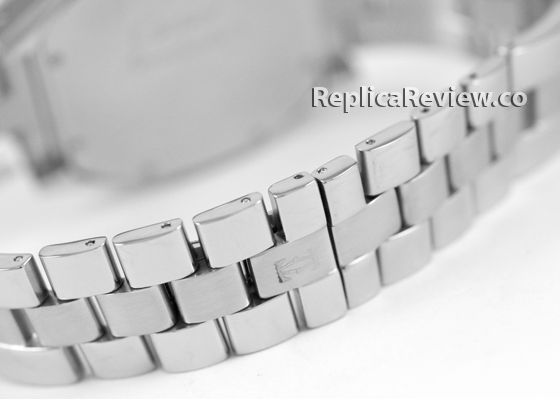 This is why, in this article, I will run a quick comparison between a Cartier Roadster replica and the original model, hoping that it will serve you as a very useful guide for identifying high quality knockoffs. 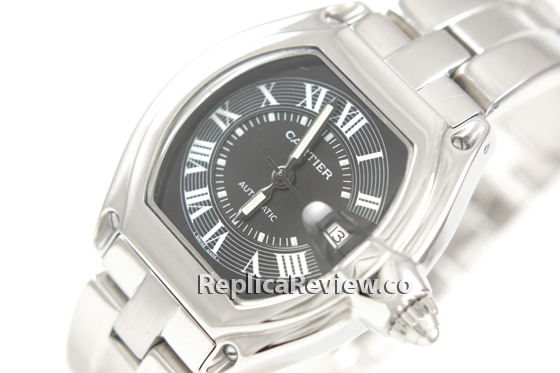 If you examine the pictures included in this review you will notice a couple of very huge differences between the genuine Cartier and the imitation watch. For instance, the dial is the biggest problem. This has the most inaccuracies. The black shade and finish of the dial is the same, but the white lines that circle the center of the face should have a rectangular shape. On the imitation watch it has an incorrect round shape. Also, the length and shape of the Roman numerals is different than on the authentic Roadster. The same thing goes for the minutes indexes, on the genuine watch the ones for 5, 10, 15, 20, 25…50, 55 and 60 minutes the markers are thicker and longer, but on the fake watch these have the same length and no upper and lower lines. The minutes and hours hands are also distinct. These should be fully coated with luminescent material, but the knockoff has luminor coating just in the center part of the hands. And the mistakes don’t stop here. The date window is also different. Instead of having a black background, it has a white one. The rest of the replica watch seems to be correct. The special designed Cartier Roadster winding crown is identical to the authentic one, the bezel of the watch is the same, and the bracelet has the same shine and design. Other things you should pay attention to are the quality of the crystal and the inside mechanism. The best available crystal is the sapphire one which is the most resistant and durable one. Unfortunately most replicas have a mineral one which is not as resistant. 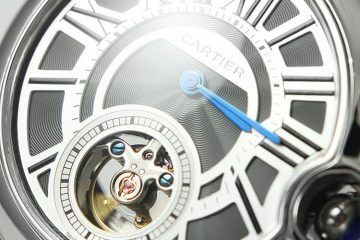 At the inside, the original Cartier Roadster is equipped with a high quality automatic mechanism. A good replica should have a 21 jewels Japanese Miyota self-winding movement or a 25 jewels Swiss ETA automatic mechanism. As the watch does not feature any complications, my opinion is that a Japanese version does its job very well. 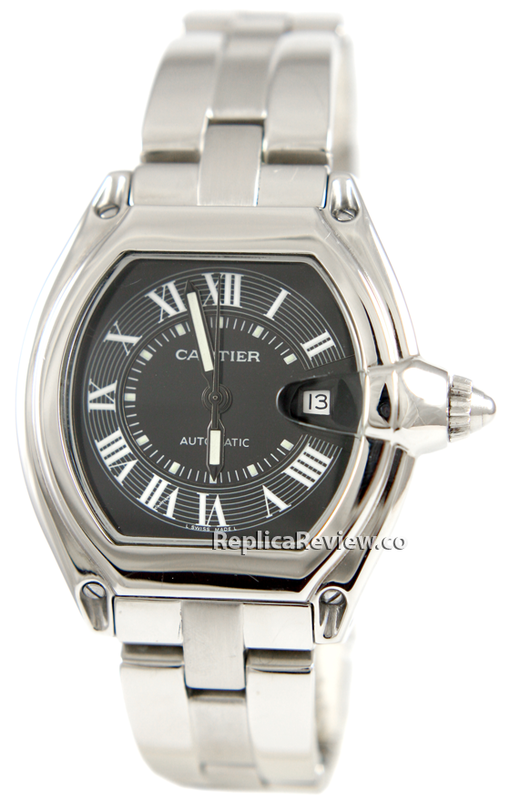 I am sure that by following the above comparison you will be able to determine the differences between any replica and the authentic Cartier Roadster. The goal here is to always find the best quality within your budget range.